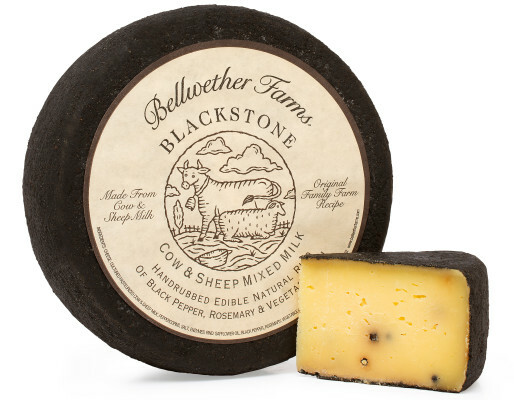 Blackstone is made by combining Jersey cow milk and sheep milk to get the best of both worlds – mouthfeel and caramel notes from the cows with a depth of flavor and minerality from the sheep. The hand-rubbed, edible rind and a scattering of peppercorns inside add a nice savoriness. The name Blackstone comes from the rind’s resemblance to volcanic rock outcroppings near our Sonoma farm.